Valentines Day is coming up and I know that for single people it is a day that they despise sometimes so I thought that I would do a gift guide that is all about treating yourself so the single people of the world don't feel left out. 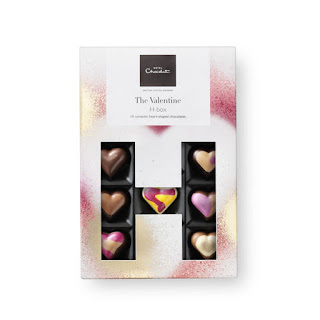 Chocolate is always a good thing when it comes to treating yourself and as there is so much chocolate on the market I think that it's good to go for something that's a little bit different or luxurious when it comes to Valentines Day. Lindt do some amazing chocolates but I would have to go for this H Box from Hotel Chocolat that has been made specifically for Valentines Day. This box includes something for everyone from a bright Lemon and White Chocolate, a luxurious Salted Caramel truffle and a deep Rum truffle. A white rectangular box with a H cut out to show off the different coloured truffles with a black logo on a white background. This sounds like an obvious one but have a lazy day filled with wonderful things. 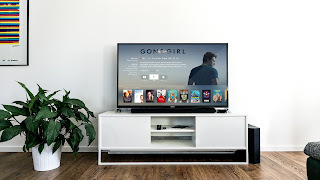 Get your favourite drink, order in your favourite food, get all warm on the sofa or in bed and put on your favourite show which might be something serious or something a bit trashy and just binge watch, Its a great way to spend the day as you will be doing something great and as you will be entertained you won't have to shout things at your phone about people in relationships being lovey-dovey. 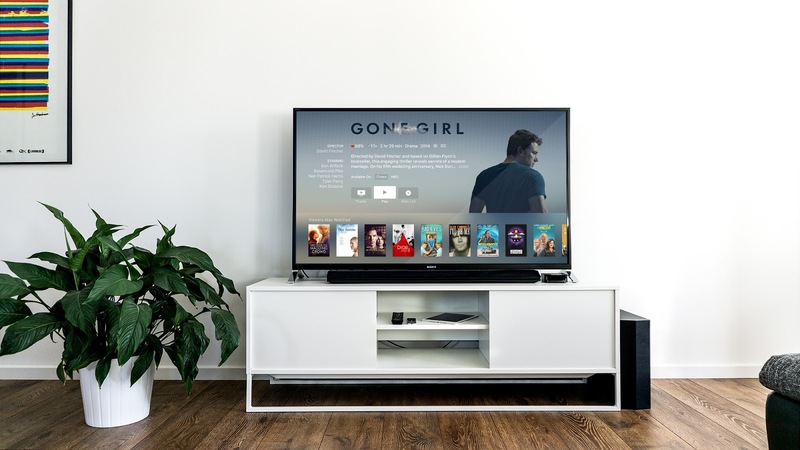 A black flat screen TV with a film on the screen on a glass table with a vase of colourful flowers at the side on a white background. Everyone deserves some flowers every now and again so Valentines Day is a great time to purchase yourself some of your favourite flowers. I think that Blossoming Gifts is a great place to purchase them as they have an amazing array of different bouquets and they also have gifts such as Wine, Prosecco and Chocolates which can be included with the bouquet. A bunch of white lilies and red roses with green leaves in a white vase on a white background. This one is mainly for the men but I am sure that it is possible to find some amazing underwear no matter who you are. I love the underwear from Ava-J and I think that treating yourself to some new underwear on Valentines Day is a great thing to do as it boosts your self confidence for the near future! They have a great gift set for VD which contains two Jock Briefs and a Peppermint Face Scrub which would help VD be a great pamper day! A open rectangular box with two pairs of black underwear and a silver and blue bottle on a white bavkground. A guy in black underwear on a white background. This can also be intertwined with the Netflix option but Alcohol always make a great day even better so I think treating yourself to a good glass of something is always a great thing. 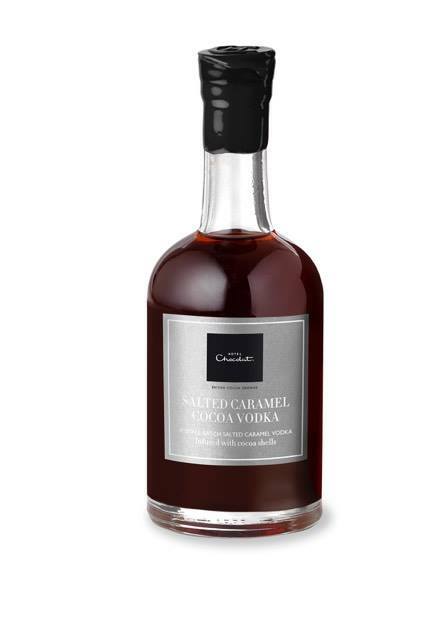 I would suggest either Salted Caramel Cocoa Vodka for anyone who either loves Vodka or has a sweet tooth. It's from Hotel Chocolat but it goes great with Lemonade. A glass bottle full of dark caramel vodka with a silver label on a white background. For anyone who is more of a cider person then there's always Brother's Cider which would be a perfect accompaniment to Valentines Day. 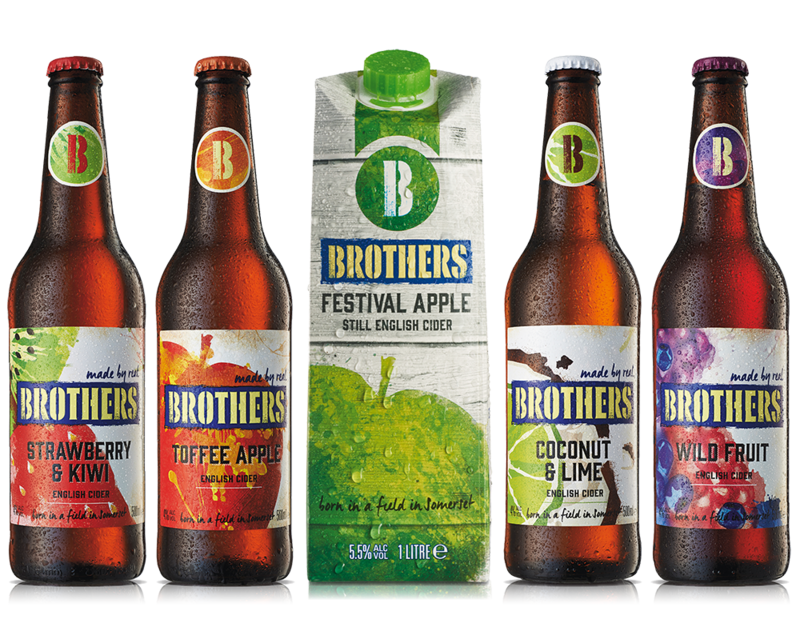 Brothers have so many flavours including Toffee Apple. Wild Fruits, Coconut & Lime, Cloudy Lemon and many more. They even do a litre cartons for things such as travelling, gigs and festivals which I think is an amazing idea. They even have a recipe to make a Winter spiced drink on their website for those who love a warmer sort of drink. The ciders are vegan as well normally which is an additional bonus! Different coloured bottles of Cider with a grey carton of Festival Cider in the middle. What are you doing this Valentines Day? Let me know down below or talk to me via Facebook, Twitter or Instagram via searching for my handle @thejamiesowden. I hope that you have enjoyed this blog post and I hope that you have a fabulous Valentines Day no matter what. All of the pictures above were sent to me via the PR's of the brands that are included.